Hi, my name is Cate and I am a boletivore. David Arora in his book Mushrooms Demystified defines boletivores as ---- predators of boleteus edulis - King Bolete. 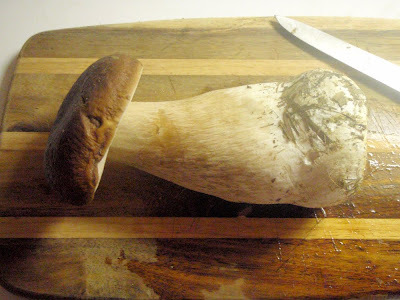 The King Bolete (boleteus edulis) is considered to be one of the best edible species of wild mushroom. I love the size and shape of it. It is exciting to spy one growing out of the forest floor. 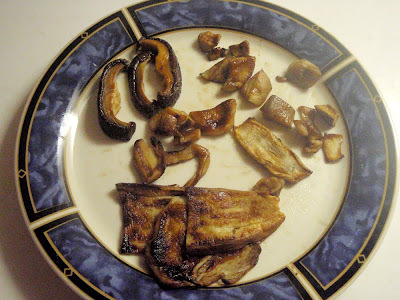 Just one is enough for dinner unlike other mushrooms that require a bit more gathering. 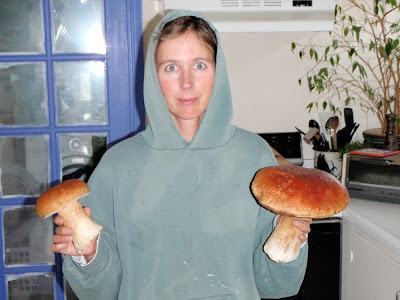 After the first fall rains, I disappear into the forest of the Mendocino Coast in search of these delicious fungi which I enjoy dry-sauteeing, grilling, drying, and sharing with friends. 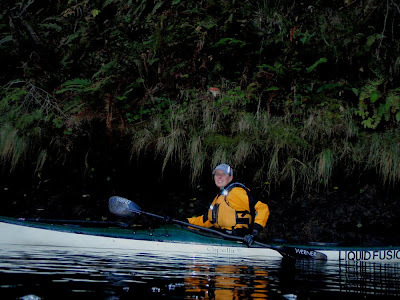 Even when paddling, I am scouting the banks of our rivers for wild mushrooms. 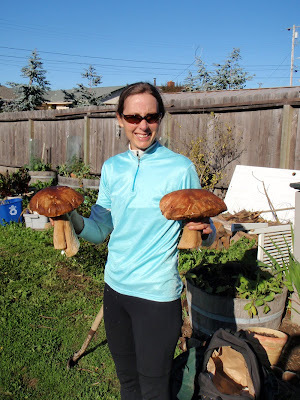 The boletes are one of my favorites; however, I admire all forms of fungi and enjoy trying to identify them. Some are easy like this amanita muscaria (aka Alice in Wonderland Mushroom) and others are more challenging. Boletivore, mushroom-head, crazy, . . . whatever . . .